It was right there on my knees, in complete darkness that God met me. It was through His Word that the healing began. He gave me verses of encouragement, He reminded me of His promises for me. His Word became alive. He began to show me hurting people in need of uplifting. Daily He gave me a vision and a mission of encouraging others with His Word. Today I am still in awe of how He lovingly restored me and brought the B Encouraged Ministry to life. Living lives of authentic biblical faith. Accepting and loving others for who they are and where they come from. Hearing God’s voice and doing His will. B Baskets are handmade with love for a special purpose. Each one is filled with individually hand written bible verses of encouragement. We pray over every golden mini basket, knowing God is able to change hearts and lives with His Word. 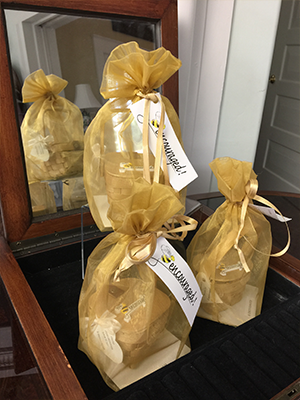 Every basket bares the B Encouraged logo, and is specially wrapped in beautiful golden mesh bag with a gift tag. Bless Someone With a Pouch! 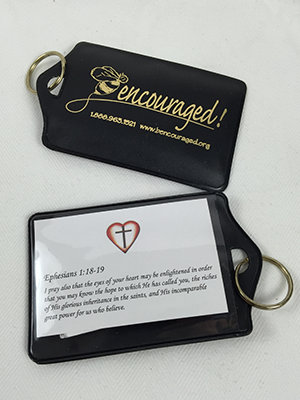 The B Encouraged luncheons are designed to invite special guests in need of encouragement. A guest speaker gives a message to about 20 women, and afterwards guests are presented with a B Basket. Since the first luncheon, over 1,000 women have attended and received B baskets. 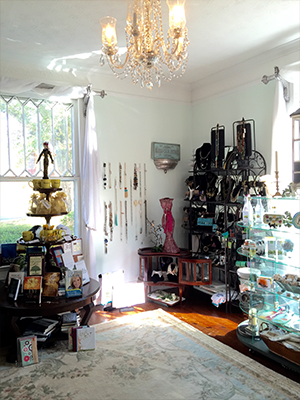 Located within the B Encouraged house, our gift shop includes unique gifts: candles, diffusers, ladies accessories, and teaposey pots. Every gift includes a handwritten bible verse of encouragement as a gift tag. Proceeds from the gift shop benefit the ministry. Dawn left the corporate world in 2004 to start B Encouraged. God burdened her heart for hurting women, and called her to outreach ministry in her community. After receiving healing from Transformation Prayer for over 11 yrs, she began training to become a facilitator in 2010. She is married to Ron Phillips and together they have a large blended family with 16 grandchildren! 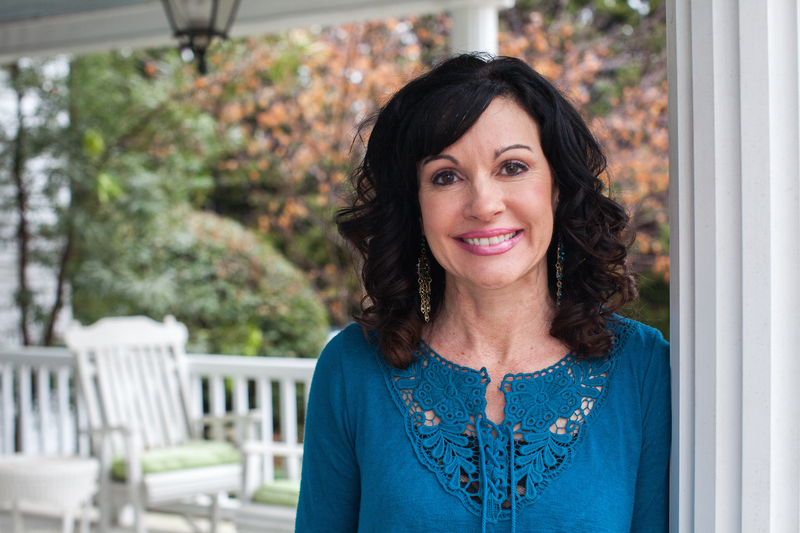 Dawn loves seeing God at work in the lives of her family, friends and clients through B Encouraged. Leigh Ann committed her life to Christ when she was 16 yrs old. 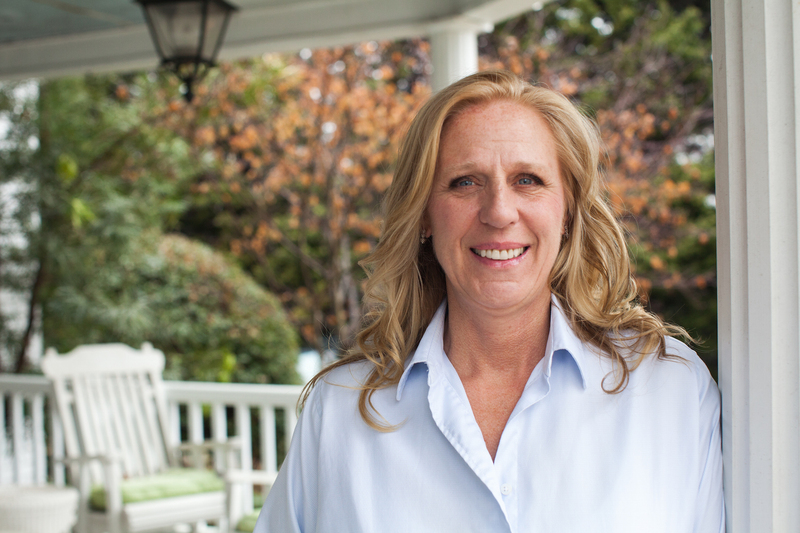 In 1983, she received a Bachelors Degree in nursing and practiced as an RN for 29 yrs. God called her to become a part of B Encouraged in 2010, and in 2011 she began her training in Transformation Prayer Ministry. Leigh Ann is married to Perry Duggar, the Pastor of Brookwood Church. They have two daughters, Evan and Aubrey, and a son-in-law named Ken who is married to Aubrey. Leigh Ann treasures the deep friendships she has formed with her coworkers at B Encouraged and loves being a part of God’s work as a facilitator for this powerful prayer ministry. Kady is attending Greenville Tech studying Business Administration and accounting. She loves working at B Encouraged as an administrative assistant because she enjoys her work and her co-workers are like having 3 more moms. 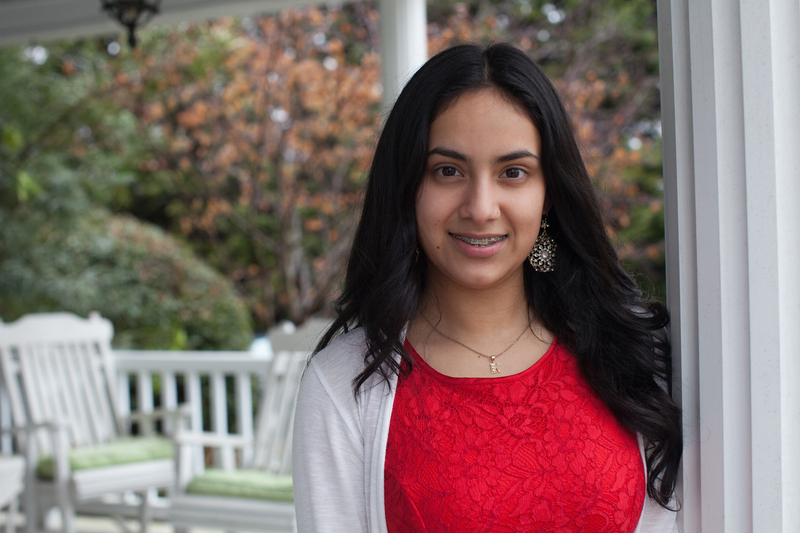 Kady enjoys all kinds of movies and loves to shop, shop and shop. Kady is eager to learn more about God and the business world. She often seeks wise advise and has an appreciation for mentoring; both being mentored and mentoring others. Stop in to visit and have a cup of coffee. We are here to encourage anyone in need!